We all love videogames here. But do you love your favourite franchise enough to solicit random rich people to fund the next sequel? Because one Shenmue fan is doing exactly that. You might be wondering why. 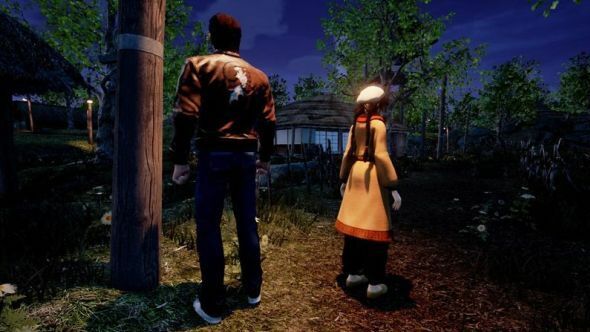 After all, Shenmue III was one of the most successful game projects to hit Kickstarter, and the game has also received external funding from Sony and Shibuya Productions. Yet Hazuki_Dojo on Twitter feels that’s not going to be enough to ensure that Shenmue III truly achieves everything it’s capable of. Check out the biggest upcoming PC games. What’s really astounding about Hazuki_Dojo here is their persistence. After they got no response from Timberlake, they turned to the Rock. Then Oprah. Then Alec Baldwin, Kevin Durant, and Jackie Chan. They’ve really picked up steam in recent months, seeking out everyone from Bill Gates to former EA exec Peter Moore. Moore actually responded, but it seems he blocked our persistent fan shortly after. There’s a level of earnestness to this person’s efforts that you just don’t see on the internet, and it’s easy to wonder if we’re all just falling victim to an incredibly specific troll. But with no audience for their nearly year-long quest – they only have two followers on Twitter – who would actually be getting trolled here? Either Hazuki_Dojo is engaging in some performance art for their own entertainment, or their love of Shenmue is so deep and enduring that they’re willing to campaign on the game’s behalf. Whatever the case, this is one of the most entertainingly bizarre little internet substories I’ve seen in ages.